Struggling to find the right skin care for dry, irritated skin? Do you find most of the skin care treatments loaded with chemicals too harsh for your skin? Look no more! 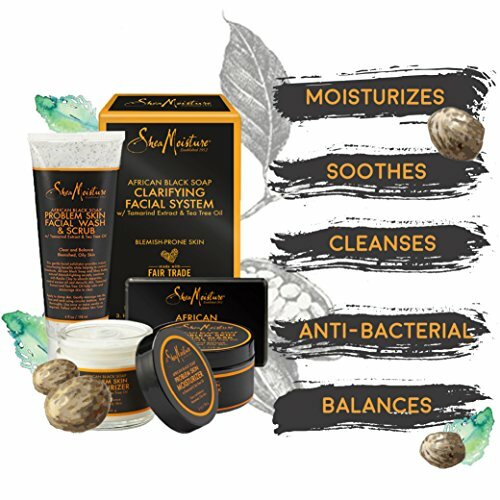 Put your faith in the gentle, deep cleansing care of the African Black Soap Facial Care Kit from SheaMoisture. 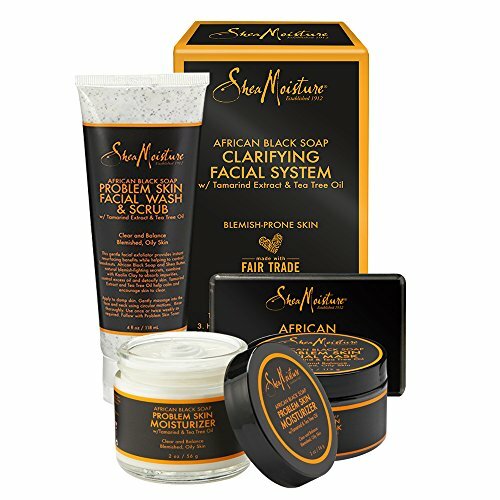 Made from natural and certified organic ingredients this face and skin care kit is gentle even on sensitive skin. 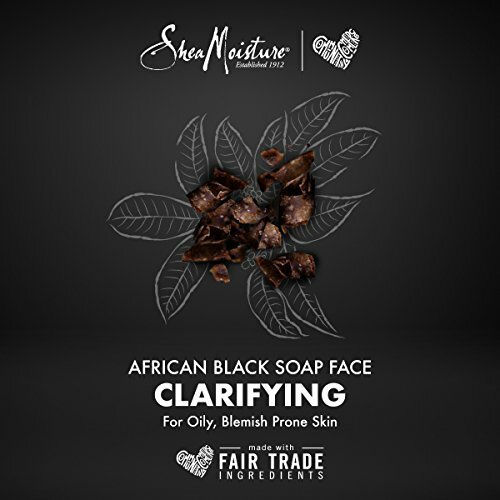 Wash of the daily dirt and grime with the gentle cleansing action of African Black Soap. This all natural face and skin cleanser, exfoliates your skin, reduces the size of pores and leave you with even toned & glowing skin. 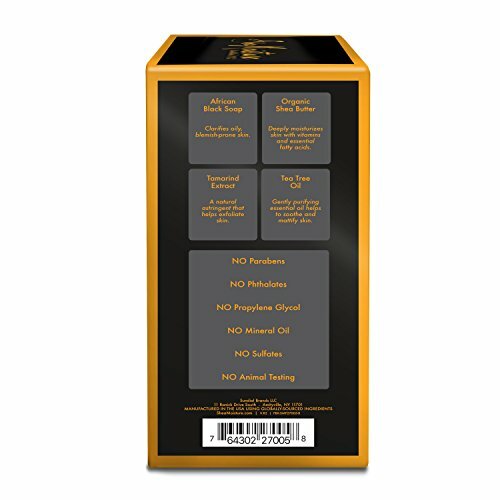 Problem skin requires delicate handling and gentle care. 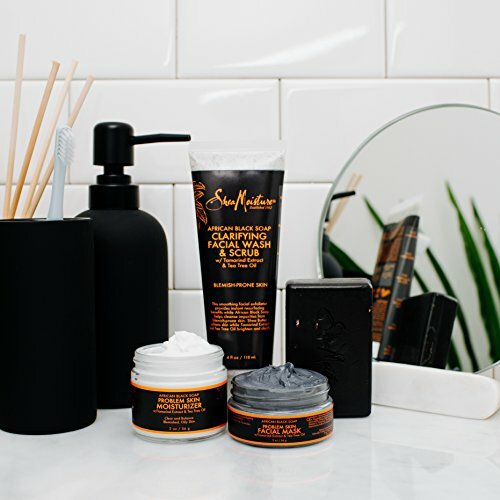 The all natural African Black Soap present in this facial mask from SheaMoisture, draws out skin impurities and detoxifies irritated skin to make it soft and supple. This lightweight moisturizer formulated using certified organic and natural products from the house of SheaMoisture. Get soft, supple, glowing skin with every use of this gentle moisturizer. 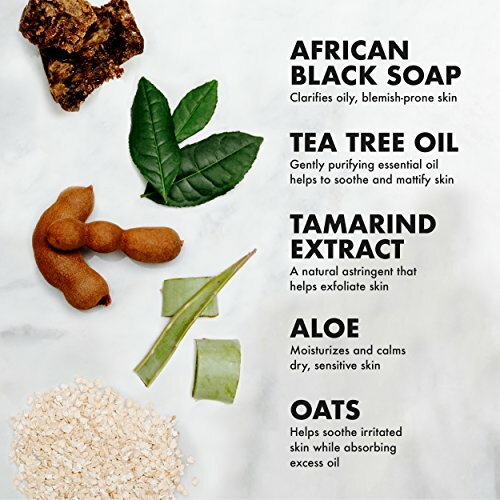 Treat your skin to this all natural solution to controlling acne outbreaks. 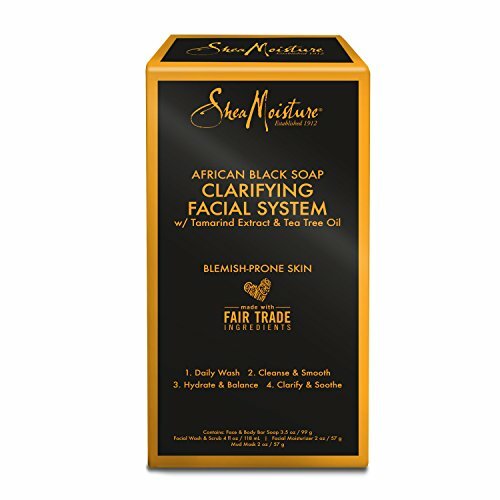 African Black Soap is a gentle cleanser which cleans impurities and toxins to refresh your skin. 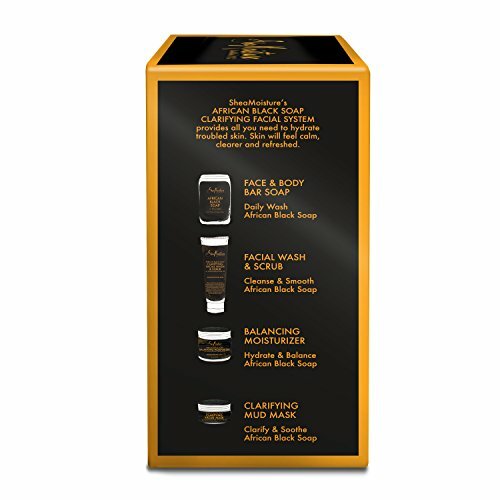 It reduces dark spots to leave you with smooth, even toned skin with every wash.